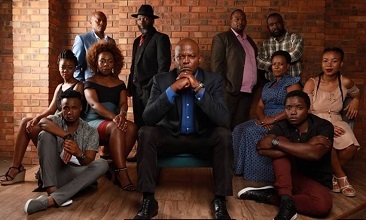 Mzansi Magic has become known for telling authentic stories and they continue with this commitment as they launch the brand new drama series called iKhaya. Come January 8, 2018, at 20h00, iKhaya will explore the theme of secrets, truth versus lies and the extreme measures one would take in the name of love for his family. iKhaya follows the story of a man whose circumstances threaten to put his world in turmoil when a secret he has maintained is on the verge of coming out. Family values are challenged in this series when iKhaya explores the lives of two families unknowingly headed by one man. Produced by Urbanbrew, iKhaya is set against the backdrop of Daveyton and the rural village of Ga-Modjadji, Limpopo where the tangled web of deceit starts to unwind. The narrative kicks-off with Eddie (Saint Seseli) caught in two worlds, with two wives Raisibe (Molobane Maja-Mbatha) and Cebile (Nqobile Sipamla) as he lives on the edge of hope that his two worlds will never collide. As the story unfolds, viewers will learn how Eddie found himself with two wives and two lives which he successfully kept secret. “As Mzansi Magic, we want to tell stories that are authentic and challenge our viewers while creating meaningful conversations. We believe iKhaya is a compelling and captivating story that the audiences will appreciate,” says Reneilwe Sema, Director of Local Entertainment Channels at M-Net. Also on the cast of iKhaya is Mike Mvelase, Mpho Molepo, Aubrey Makola, Laki Khoza, Thulane Shange, Sphamandla Dhludhlu alongside upcoming talent Khomotso Manyaka, Mbasa Msongelo and Amanda Manku. Find out the price of lies when iKhaya premiers on January 8, 2018, at 20h00 on Mzansi Magic, DSTV Channel 161.